Is your driving license blacklisted by Jabatan Pengangkutan Jalan (JPJ)? There are many reasons why your Malaysian driving license or vehicle could be blacklisted by JPJ. Most probably it is outstanding traffic summons issued which you have not cleared yet. If your driving license was blacklisted, you may not be able to renew your license when it expires. If your vehicle is blacklisted, JPJ will flag your vehicle and you may get into trouble at road blocks. The following are 4 simple steps to check if your license or vehicle has been blacklisted by JPJ. 1) First, head over to Portal Rasmi JPJ for Semakan Status Senarai Hitam. You can do so by clicking HERE. 2) At the page, click on the pull down menu next to Jenis Senarai Hitam. Choose Kenderaan to check your vehicle status and choose Lesen to check your license status. 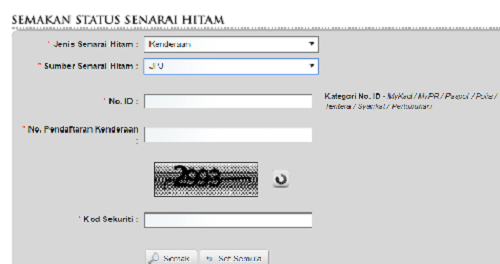 3) Next enter your details such as Identity Card number or car registration number. Remember to enter the Kod Sekuriti. 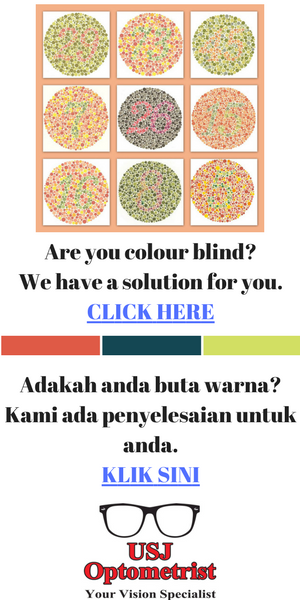 4) Finally, click on the Semak button. If your license or vehicle has been blacklisted, you will see the information on the screen. If you don’t have any blacklisting, you will see the message “Tiada rekod senarai hitam”. As you can see, the checking process is very easy. If you are not sure if your license or vehicle has been blacklisted by JPJ, just follow the 4 steps above to check.